Policymakers have recently proposed various ways of raising taxes on the richest Americans and making the tax code more progressive, including wealth taxes, estate taxes, and a higher marginal income tax rate. Changing the tax system, however, requires first understanding how it currently operates, and what kinds of transfers are already in place. Data from the Congressional Budget Office (CBO) illustrates the progressivity of the federal tax code and the impact of transfers from high-income to low-income Americans. The following figure shows average federal tax rates—total federal taxes divided by total income before transfers and taxes—by income group in 2015. Taxpayers face higher average federal tax rates as income increases. 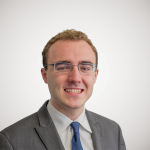 For example, those in the lowest quintile paid an average federal tax rate of 1.5 percent in 2015, while those in the highest quintile paid an average rate of 26.7 percent. The top 1 percent of Americans had an even higher rate of 33.3 percent. Federal taxes can be further broken down into individual income taxes, payroll taxes, corporate income taxes, and excise taxes. 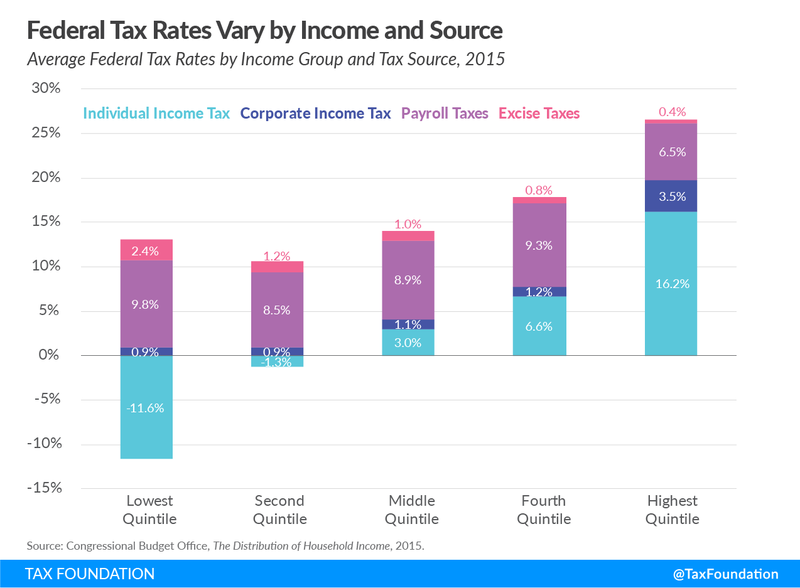 The following chart shows average federal tax rates for each type, illustrating how the progressivity of the federal tax code varies by tax source. While the overall federal tax system is progressive, not every tax that comprises it is. The individual income tax is most progressive, falling most heavily on the highest quintile. 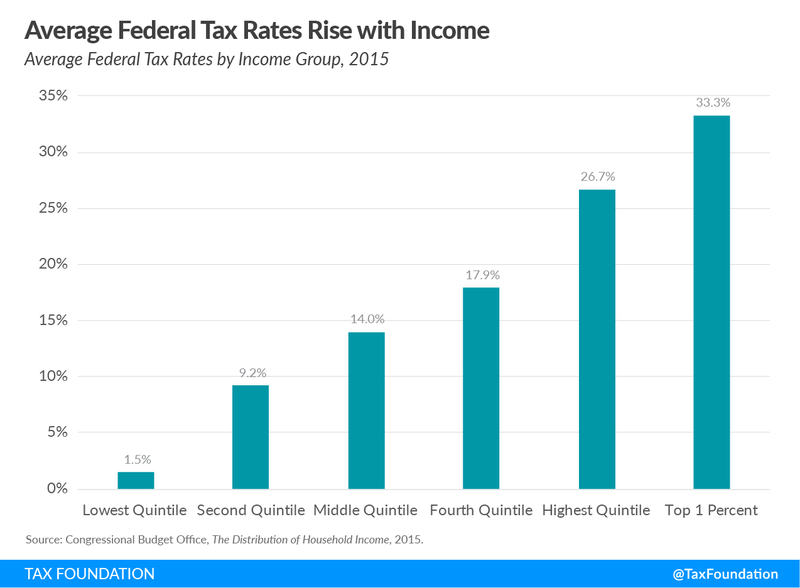 The bottom two quintiles experience a negative income tax—in other words, their income increases—as a result of refundable tax credits such as the Earned Income Tax Credit and the Child Tax Credit. In contrast to the income tax, the payroll tax is regressive, with lower-income individuals facing higher average tax rates. In 2015, the lowest quintile’s average payroll tax rate was 9.8 percent, compared to the highest quintile’s rate of 6.5 percent. Similarly, the lowest quintile’s average excise tax rate was 2.4 percent, compared to the highest quintile’s rate of 0.4 percent. 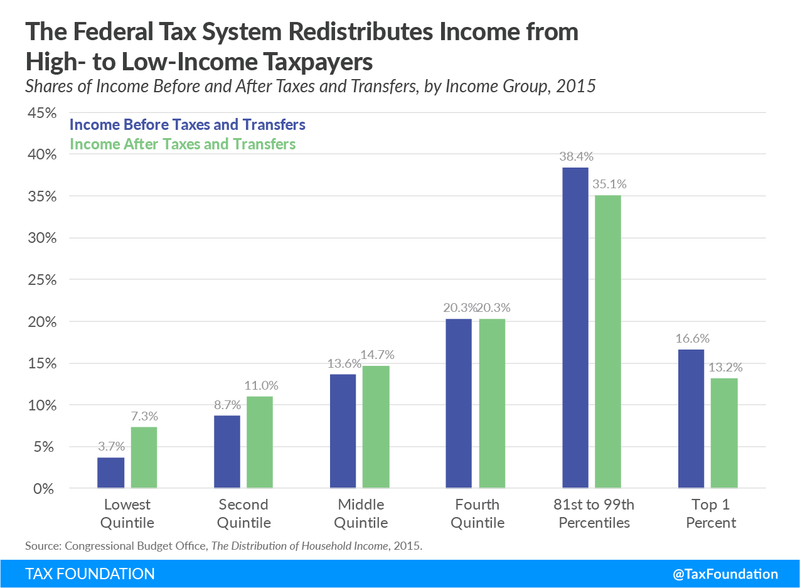 Although some taxes fall more heavily on lower quintiles, the net result of federal taxes and transfers is lower incomes for high-income Americans and higher incomes for low-income Americans. The following chart shows the shares of income by income group before and after taxes and transfers. The lowest quintile’s income nearly doubles, while the second and middle quintiles experience relatively smaller increases in income. The fourth quintile’s income share remains constant, and only the highest quintile has a lower share of income after taxes and transfers. The top 1 percent’s share of income, for example, falls from 16.6 percent to 13.2 percent. The result of all federal taxes and transfers is a redistribution of income from high- to low-income households. According to the CBO, “In 2015, average household income before accounting for means-tested transfers and federal taxes was $20,000 for the lowest quintile and $292,000 for the highest quintile. After transfers and taxes, those averages were $33,000 and $215,000.” In other words, the lowest quintile’s average household income rose by $11,000, while the highest quintile’s average household income fell by $77,000. As policymakers debate ways to raise taxes on the rich, they should keep in mind the extent to which the federal government already transfers income between income groups and remember that America already has a progressive tax system. This context is essential for productive conversations on how to improve the tax code, rather than weaken it. The corporate income tax portion is the CBO’s estimate of the incidence of the tax. CBO’s measure of means-tested transfers includes cash payments and in-kind transfers from federal, state, and local governments.